I can finally post the tribute I’ve done for “Dylan Dog in mostra a Caldogno“, a very special expo about Dylan Dog, the well-known italian comic character. 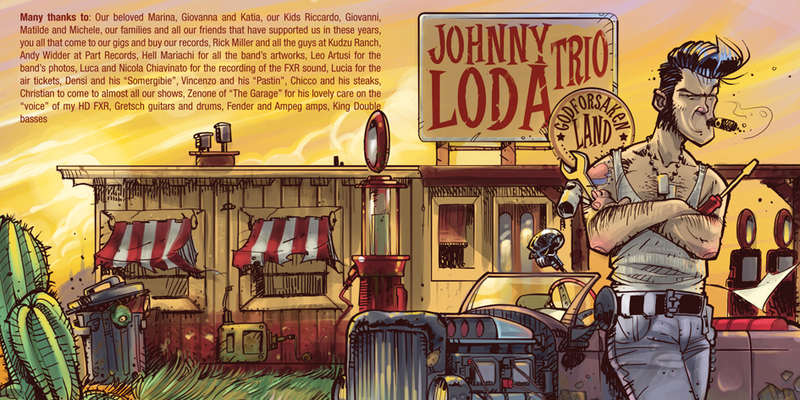 As you can see it’s a 100% Hell Mariachi concept between Dylan Dog and the art of Ed “Big Daddy” Roth. It’s a Dylan Fink. It’s pretty lowbrow. Weird enough. And I had fun. At the bookshop you can find the official catalogue and 5 postcards, limited edition. Hi everybody! I’m thinking about posting every single article in english, and I’m starting now. So I apologize with you for mistakes. 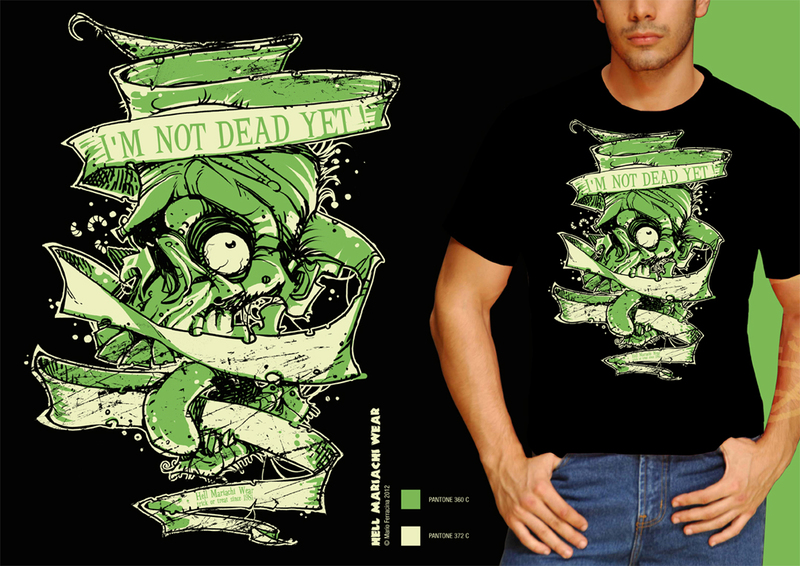 The image above should be the very first Hell Mariachi Wear t-shirt ever printed. I’m starting with 2 different designs, and this is the first one. As many of you should know, I’ll be hosted by the Italian Poster Rock Art expo 2012 so I’m working on a few merch to sell there. Some posters, shirts and also Hell Mariachi Traditional Hair Pomade. Yes, you read well, hair pomade. Stay tuned! Eccoci qua finalmente. Era da un po’ di tempo che non postavo qualcosa. Mi rifaccio vivo con la cover definitiva per l’ultimo album dei Johnny Loda Trio, in uscita verso marzo per la tedesca Part Records. Qualche post più in giù trovate la bozza relativa al progetto. Per loro ho curato anche tutto il packaging incluso il booklet di 12 pagine. Le grafiche verranno inoltre utilizzate per il nuovo sito.